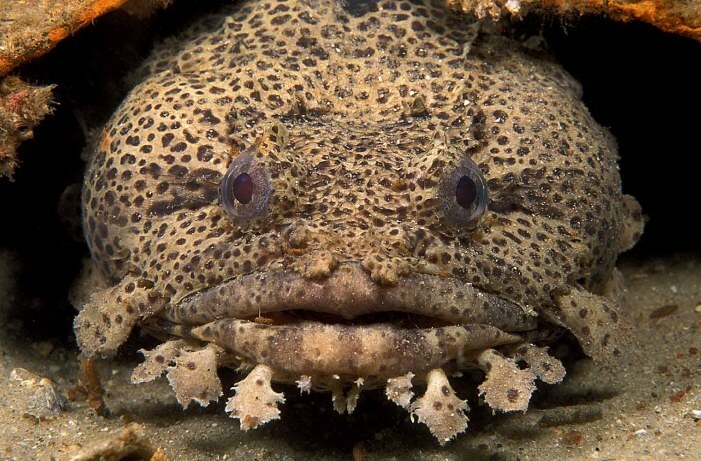 Beauty is relative, but if I had any relatives that looked like a leopard toadfish, I don't think I'd visit them very often. These interesting fish can be found on most dives in excess of 50 feet along the Florida Gulf coast. This one was found near a sunken tugboat off the coast of Destin, Florida.